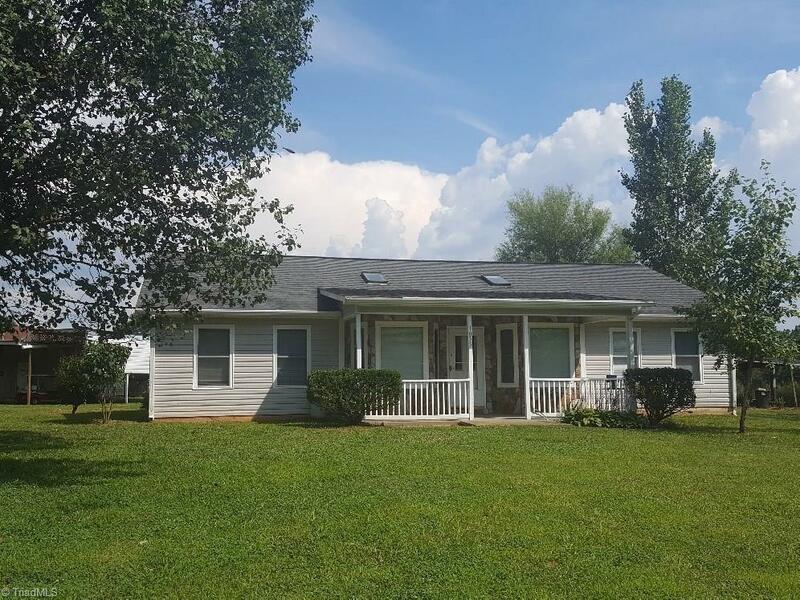 Country living in lakeside community with seasonal lake views. Level, cleared 1.28 acre lot. Contemporary house with open floor plan. Large kitchen w/stainless appliances, oak cabinets and island. Wood laminate floors, vaulted ceiling with skylights, huge bonus room, ceiling fans. Rocking chair porch and patio to relax. Huge detached heated garage, plus carport for RV and boats. Whole house can be heated with outdoor Taylor wood furnace if you choose. Great family home with tons of space for everyone!